The charred remains of former prisoners in two crematoria ovens in the newly liberated Buchenwald concentration camp. 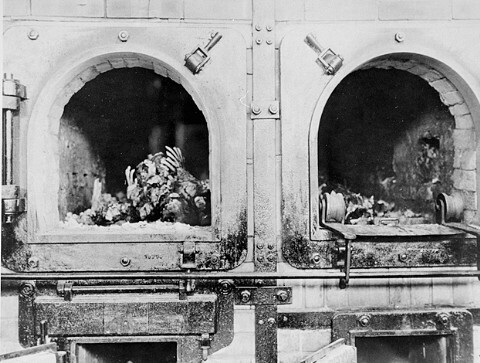 The charred remains of former prisoners in two crematoria ovens in the newly liberated Buchenwald concentration camp. Buchenwald, Germany, April 14, 1945. This image is among the commonly reproduced and distributed, and often extremely graphic, images of liberation. These photographs provided powerful documentation of the crimes of the Nazi era.